M J General Construction, Inc. Comment: Existing framed shade structure over back porch was created by previous homeowners to hold 2 rows of 5 removable shade panels of approx 3âx6â each. Now approx 15 years old, wood is cracking and pulling out of the original joints. I think it needs to be rebuilt. Comment: Reinstall ceiling, insulation, small part of walls paint to match existing white color and lighting fixtures. Comment: replace ceiling, repair ceiling, install new insulation, repaint to match undamaged areas. Comment: Need to create an opening in our attic floor in order to install a Spacelift platform elevator (the unit can be seen at spaceliftproducts.com). 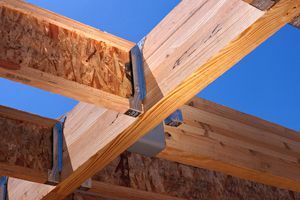 This requires removing over five feet of one floor-joist in order to box in an opening measuring 28.5" X 58" (since our joists are only 16" apart). Also, several 2X4 roof braces need to be removed (as has been permitted by Burbank City) to allow for open storage space in the attic. Comment: I would like to get an estimate for Our building is mostly all windows front and back. I have water leaks throughout our main lobby area coming from the window seals. Major water puddles are created every time it rains. I need a price quote to present to our corporate office to conduct repairs. Burbank Carpenters are rated 4.69 out of 5 based on 876 reviews of 33 pros. Not Looking for Carpenters Contractors in Burbank, CA?